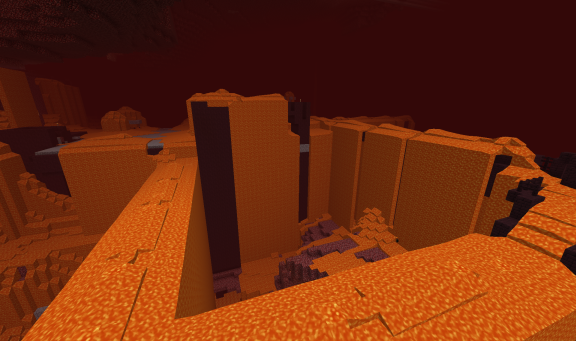 Why is there a nether fortress covered in lava? Yeah I saw that and wondered the same thing. Someone put in a lot of effort to not just cover, but also fill the entire thing. That's the area around the wither farm. It was supposed to reduce mob spawning in the surrounding area and fortress, but I don't think I covered it completely enough to help.